Lebo Thoka is a photography graduate from the Open Window Institute in Pretoria. Born and raised in Johannesburg, Thoka has been a freelancing photographer for 3 years, venturing into commercial and fine art photography. Thoka identifies as a Feminist which has managed to manifest itself into her first fine art body of work It is well: An Ode to Karabo. Have a listen to Part 1 where the discussion is focused on Lebo’s process and conceptual development. She answers questions around the construction of her images and the reasons behind the decisions she made in creating the powerful portraits. 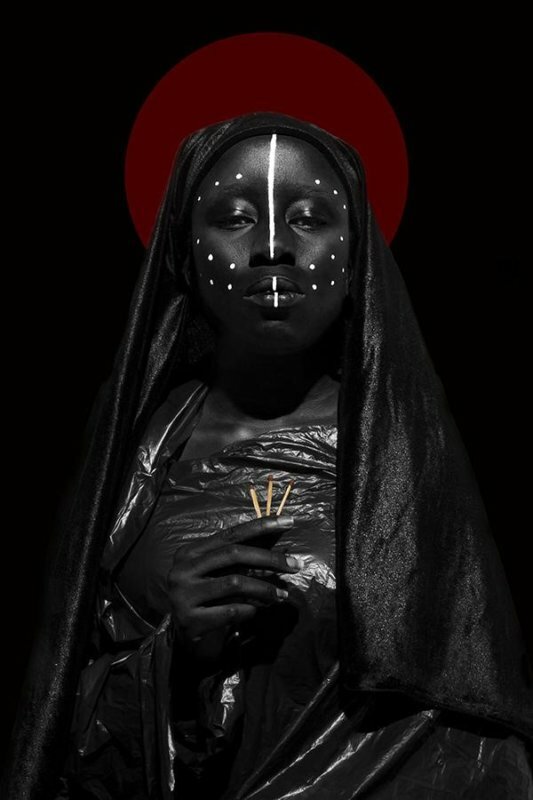 Part 2 focuses on Black Feminism, accountability and the Christian tropes in Lebo’s images. This series represents Thoka’s first venture into fine art photography. The young photographer has created the body of work as a means to mediate dialogue and action. 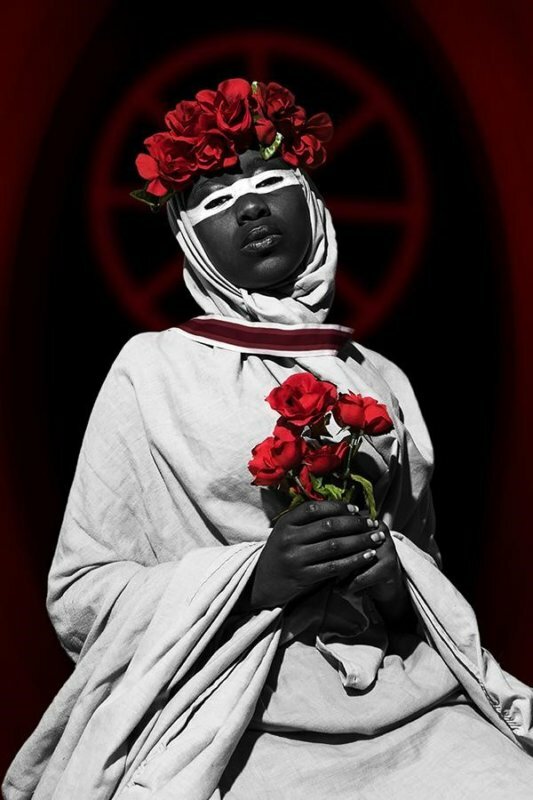 The series hosts self-portraits wherein the artist pays tribute to South African women who have been subjected to femicidal violence. In Part 3 of this conversation, Kholeka Shange delves into a deeper understanding of Black feminism in an African context and Lebo Thoka interrogates the kind of feminism one identifies with. Leaving listeners with the difficult question as to what kind of feminism they have decided to subscribe to? In an earlier Podcast – episode 8 of our artist series – Mthabisi Sithole from David Krut Projects introduces us to Lebo, her body of work and it’s context. All podcasts are available on David Krut Projects pOdomatic and Itunes.